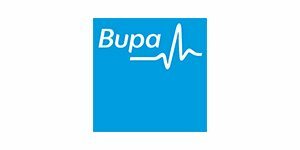 Bupa has teamed up with Access1st to offer great value corporate health cover at discounted rates. *For most items covering dental, physio, chiro, podiatry consultations and selected optical packages. Available on our family packages, Ultimate Health Cover, Silver, Gold & Platinum Extras when taken with hospital cover on a family membership. Fund and policy rules and waiting periods apply. Child dependants only. Excludes orthodontics and hospital treatments. Set benefits apply at other recognised providers. **On selected optical packages. Optical benefits are subject to your level of cover. Fund rules, waiting period and yearly limits apply. #For most items at our Members First extras providers covering dental, physio, chiro, podiatry consultations and selected optical. Fund and policy rules, waiting periods and yearly limits apply. Excludes orthodontics and hospital treatments. Set benefits apply at other providers. Available on selected packaged covers and selected standalone extras covers. +Discount is reviewed periodically by Bupa and your Company and is subject to change.